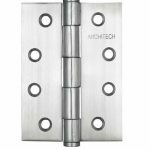 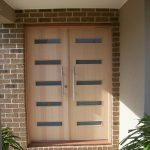 Hinged Timber Doors remains the most common door system in homes and commercial premises, although, Pivot Doors Systems are also becoming increasingly popular. 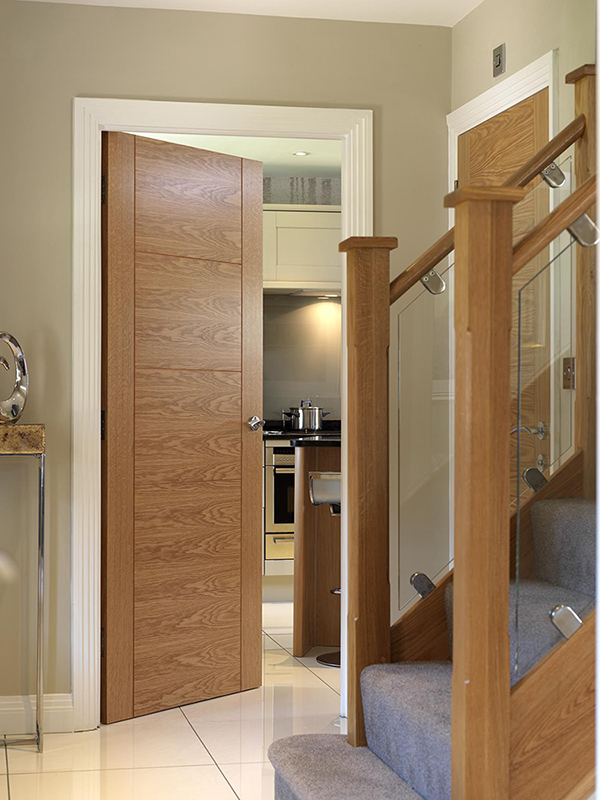 The doors simply functions – opening and closing – with the swivel motion provided by the hinges attached to the door and the frame surrounding the door itself. 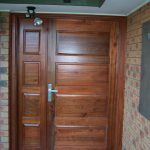 Hinged Timber Doors provide some functionality options including the ability to make the opening left or right, ie, left to right or vice-versa. 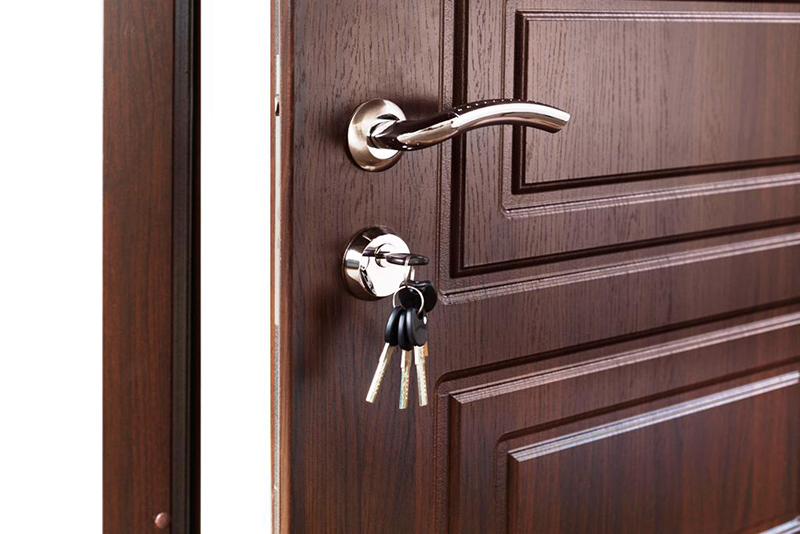 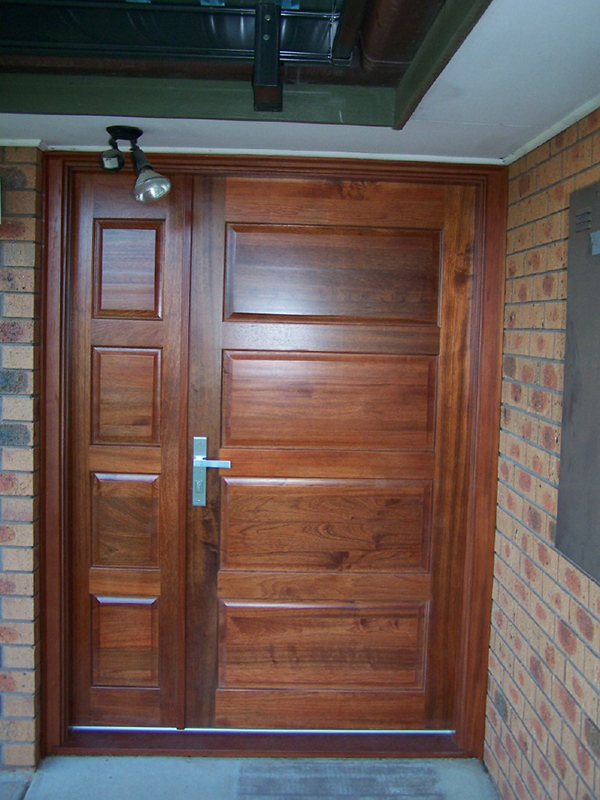 In addition, hinged doors can be installed to open inwards or outwards, although, the common, and most appropriate function is to open the door inward and providing an outward function on a hinged door should be limited only to very special and unique cases. 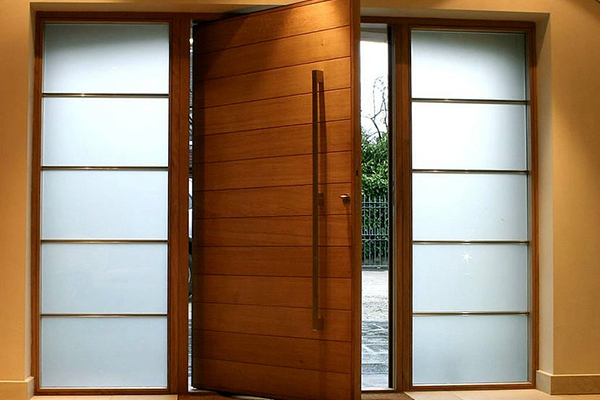 like French Doors and Factory Doors. 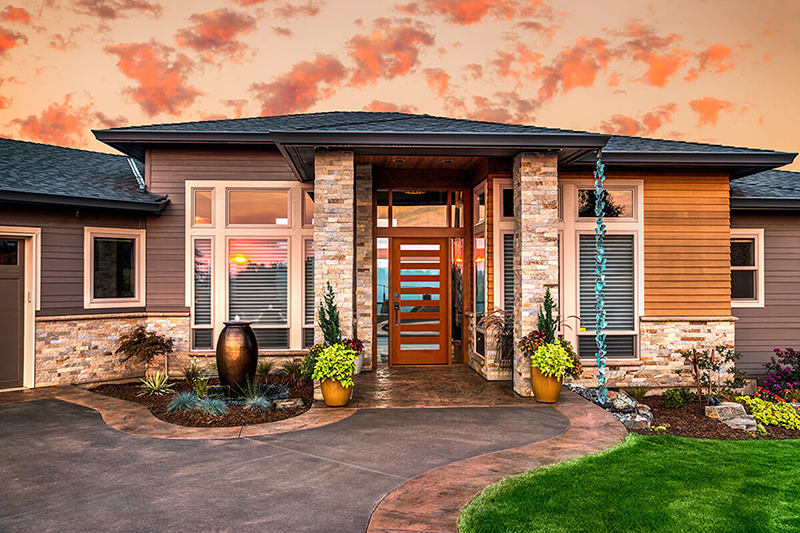 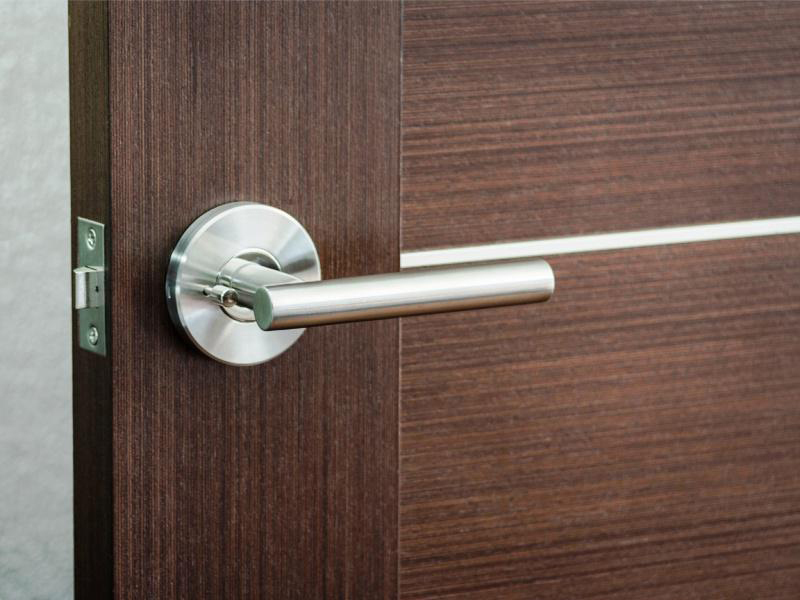 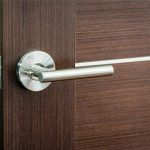 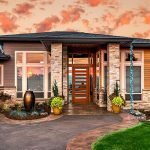 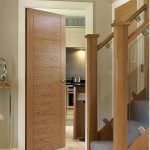 Hinged doors are often made to standard door sizes, however, they can be manufactured as custom doors providing a solution to non-standard door opening. 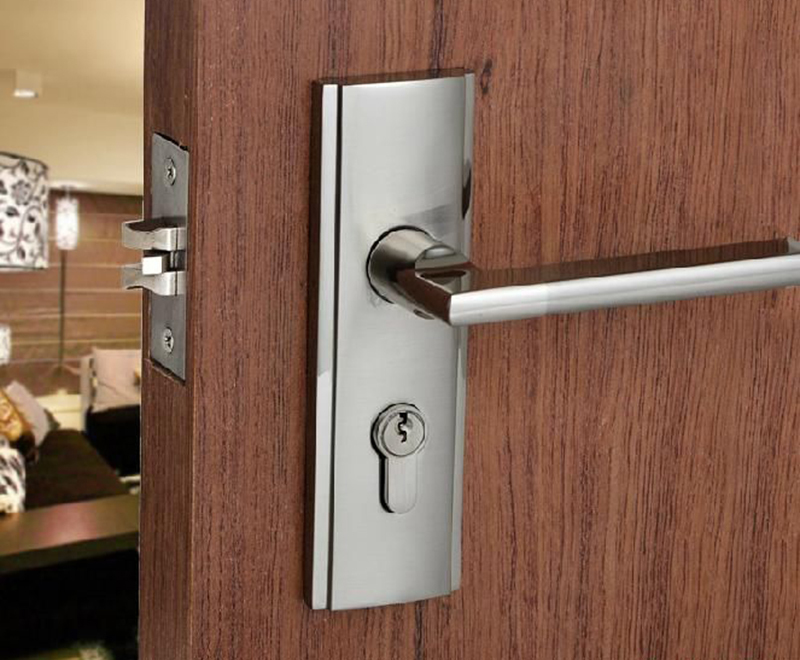 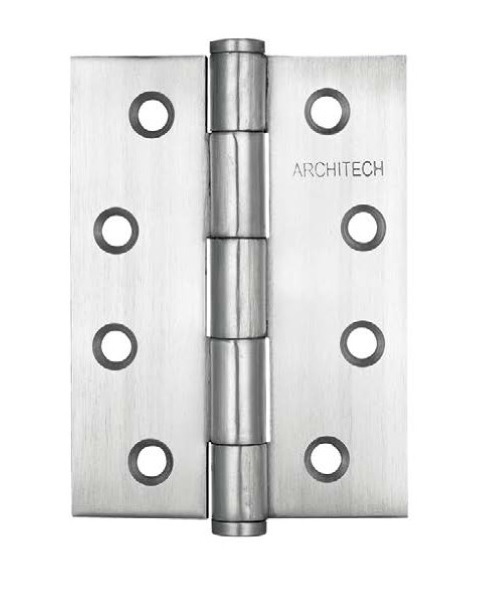 The width of the hinged door can, to a certain degree limit the use of hinges. 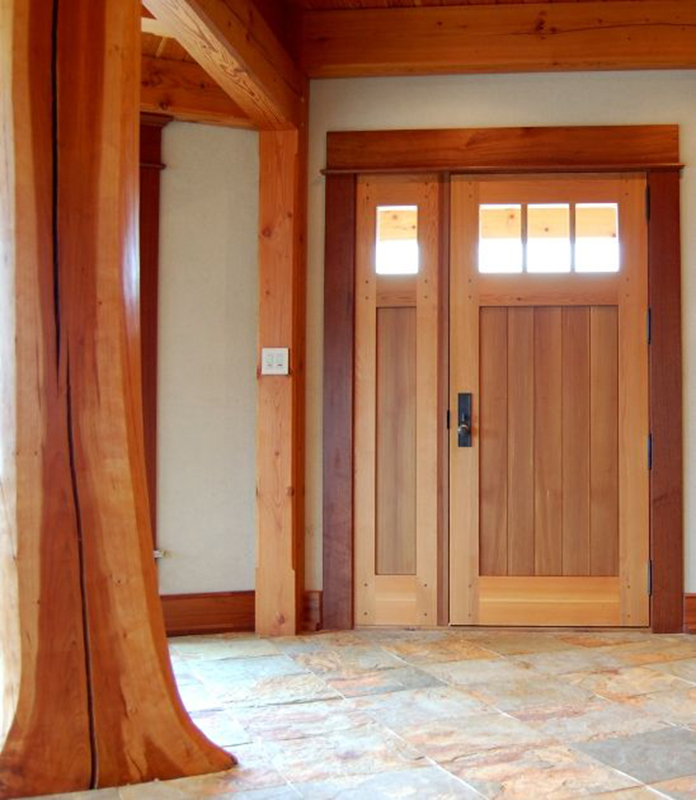 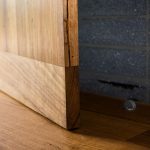 For example, door openings that are extremely wide can limit the use of hinges, especially, in the case of using solid timber doors due to the weight of the door that is transferred to the hinges. 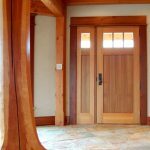 In such cases, other options can be available including using different types of functionalities like ‘Pivot Doors’, ‘Sliding Doors’ or affixing a portion of the opening with fixed panels reducing the actual width of the door to be used in the opening. 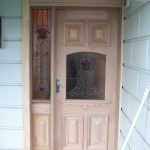 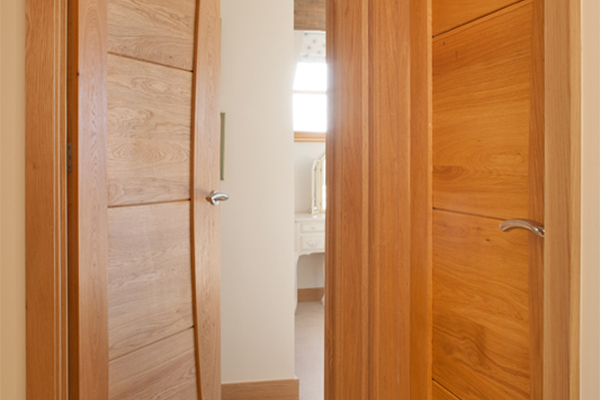 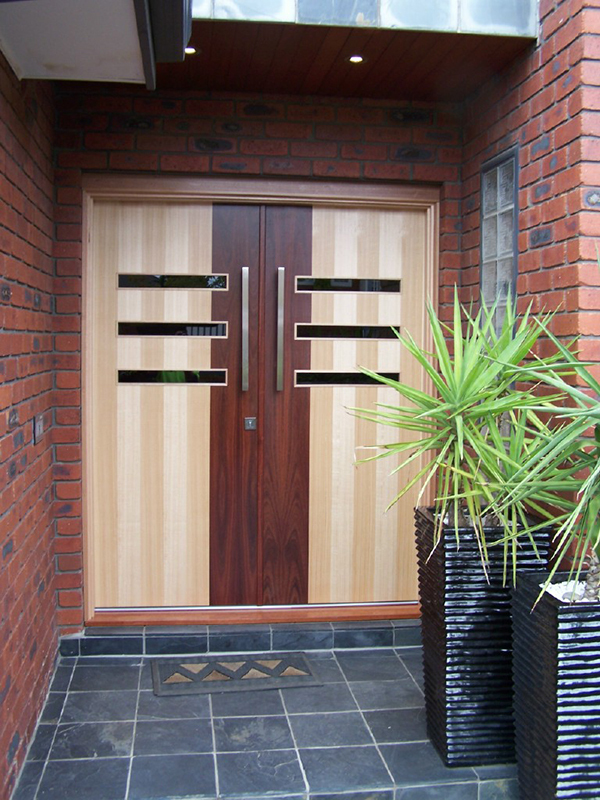 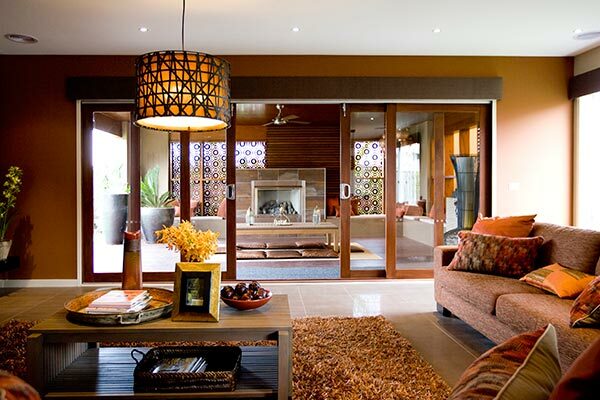 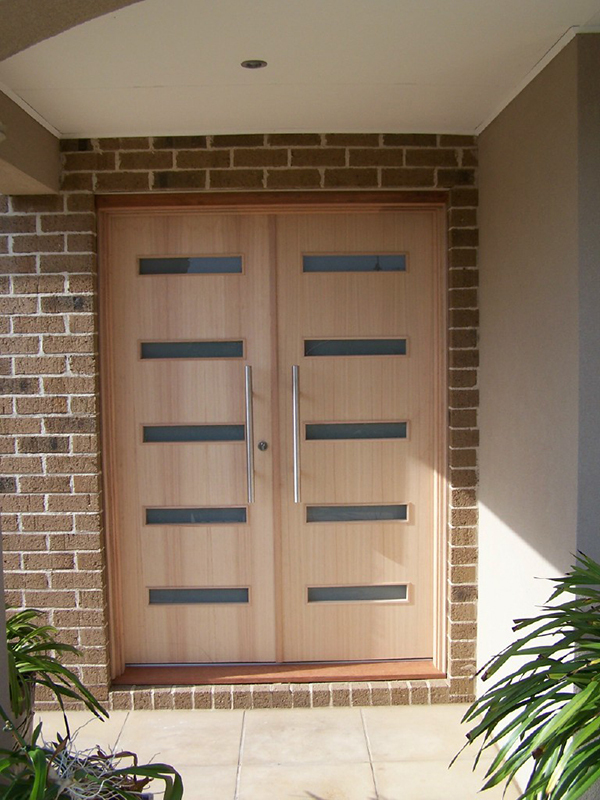 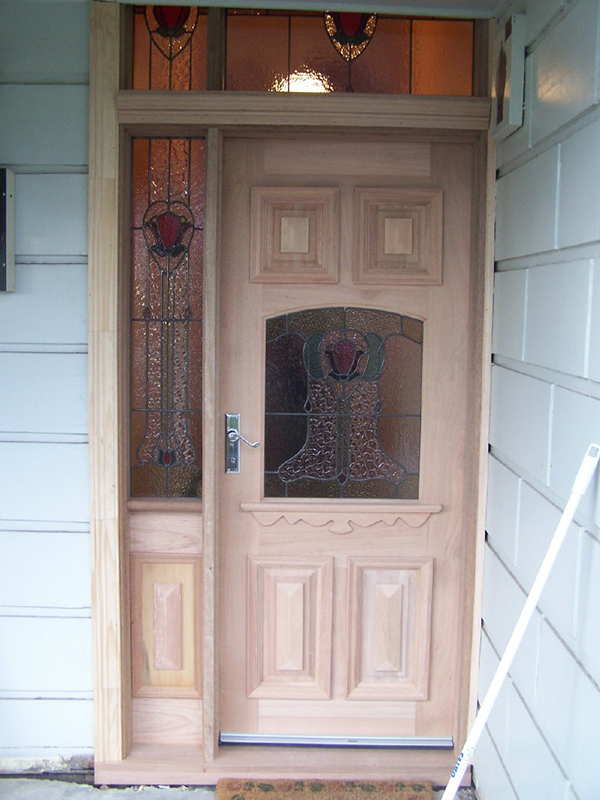 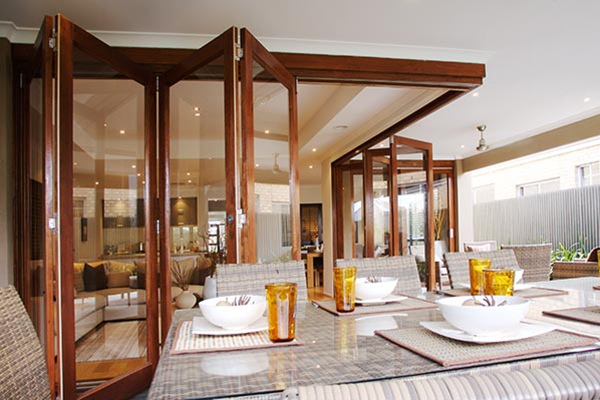 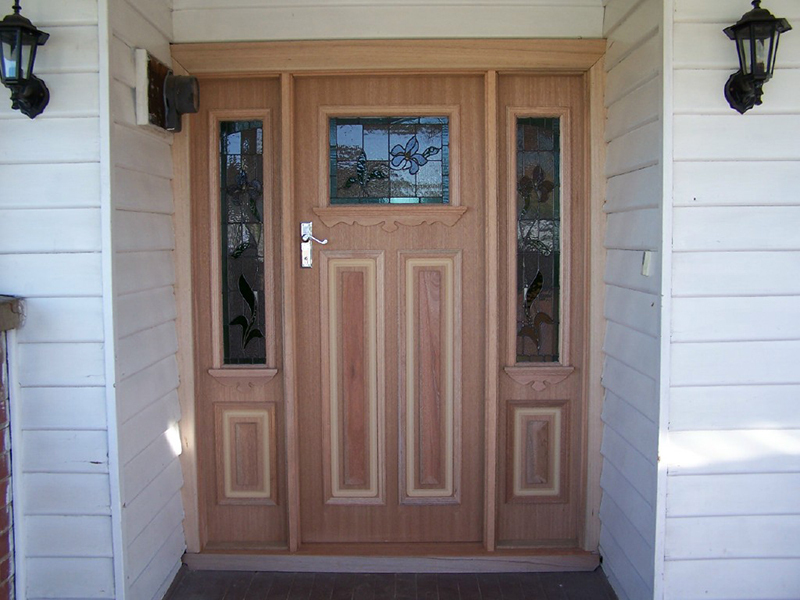 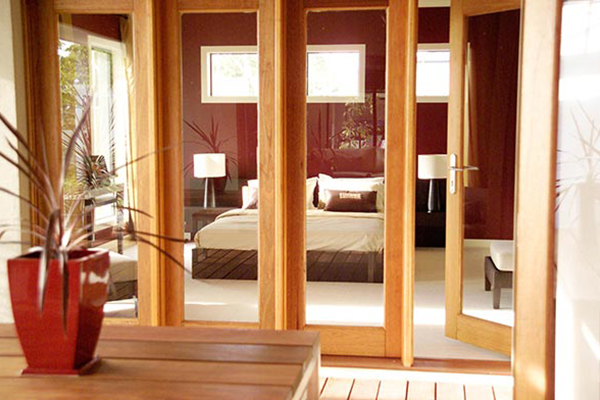 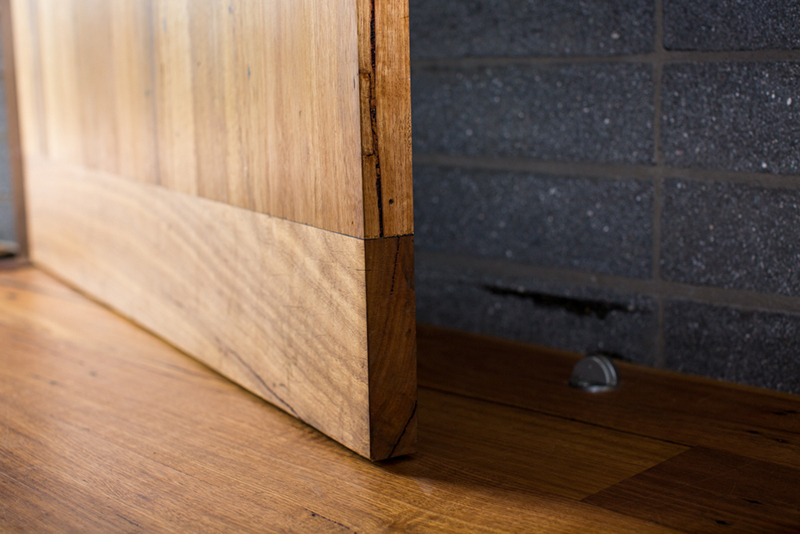 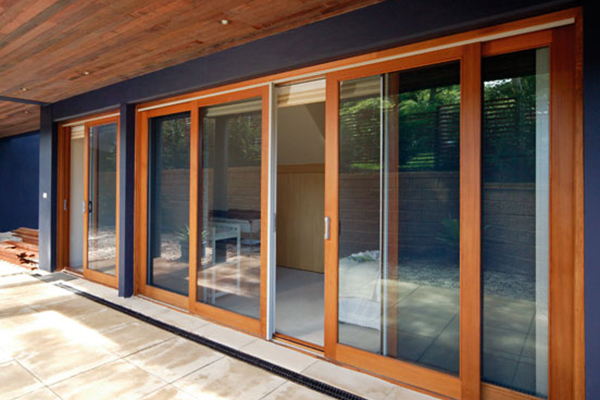 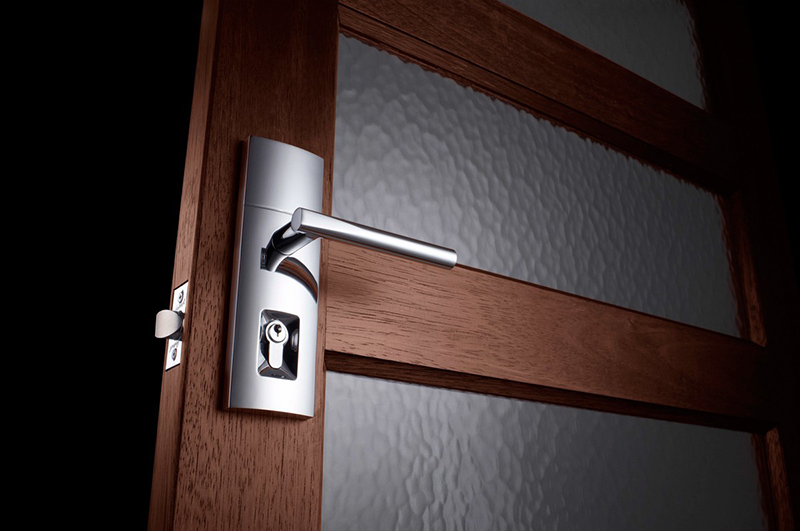 Hinged Solid Timber Doors come in a wide range of styles, designs and finishes. 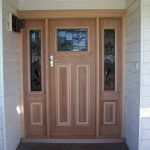 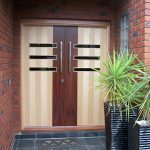 They can External or Internal and we provide the options and designs to suit the intended application for the door as well as fit within the style, design and layout of your home or business premises.